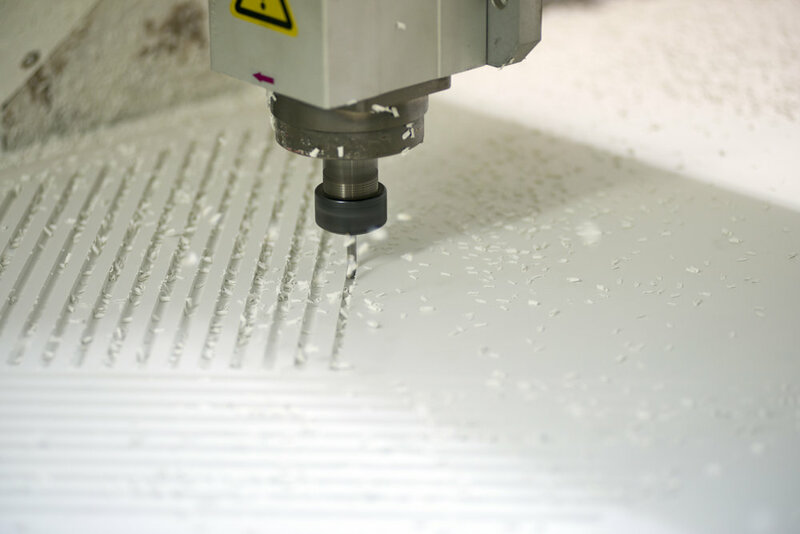 Though we specialize in laser-engraving and CNC routing, we’re also rugged pioneers of custom fabrication. Go ahead, throw a monkey wrench into our plans. We’ll find a way to use it. Stewards of two CO2 laser machines with a bed size of 29" x 17" we commonly cut and engrave wood, paper, acrylic, cardboard, leather and plastic. We can also laser mark anodized aluminum and stainless steel. Our CNC Router boasts a 4' x 8' bed and a z-axis of 6". Like a 21st century Edward Scissorhands, the router can cut, engrave and 3D-mill solid wood, plywood, acrylic and other sheet goods. Armed with table saws, nail guns and every other shiny thing in our toolbox, our custom fabrication team can transform a napkin sketch into a tangible, groundbreaking product. We offer design services, 3D modeling and even project consultation; we encourage ideas that other firms deemed impossible.